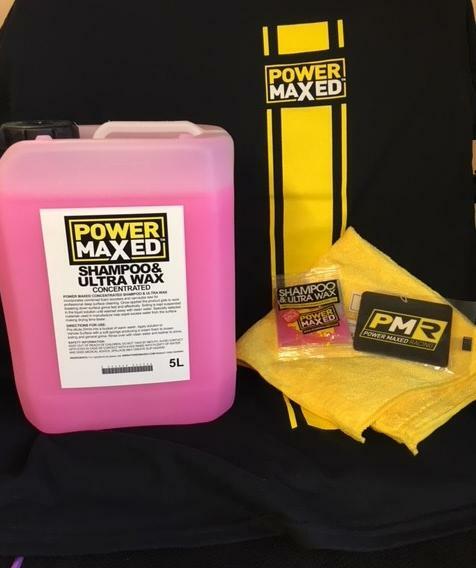 Power Maxed Shampoo & Ultra Wax 5 litre + Free Complimentary Micro fibre Cloth and Shampoo & Ultra Wax Sachet. 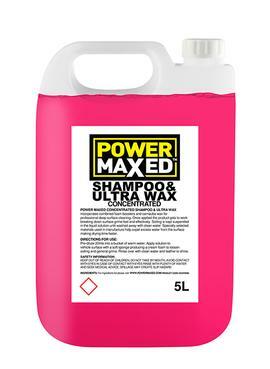 Please Note: using more than the recommended solution (25ml) will cause streaking. To remedy this, simply hose off and wash with the recommended dose.